The D3 Flat Pack PLUS is a Hybrid Bag that bridges the gap between a small assaulter pack and a full sized day pack. It can go from an almost flat profile when compressed to over 1400 cubic inches when completely expanded. With a slightly larger capacity and full peel open design, the Flatpack PLUS paves the way for full customization. The interior features a full field of velcro and sets the foundation for the new Flatpack accessories (SOLD SEPARATELY) this allows the end user to build the pack around their mission or lifestyle. 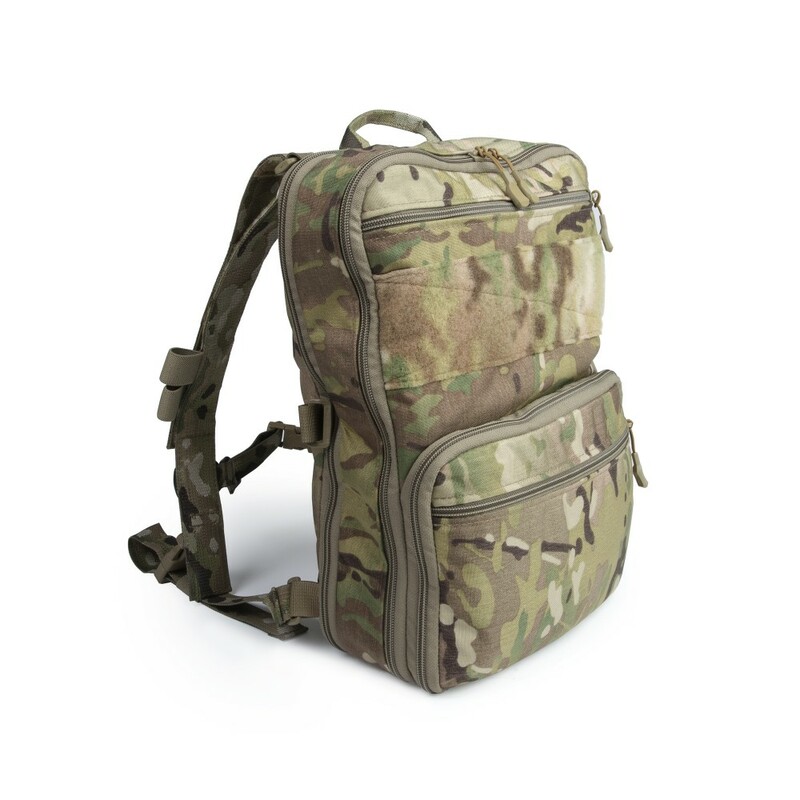 In its compressed state, the D3 FlatPack PLUS can run a 1-liter hydration bladder in the main compartment with additional small items like batteries, energy gels and chem lights stored in the dedicated admin chamber. When expanded, the main compartment can fit a fully loaded D3CRX™, a helmet or a jacket while the admin can fit electronics and small binoculars. The FlatPack PLUS features a new chest strap to add stability and comfort while under load. 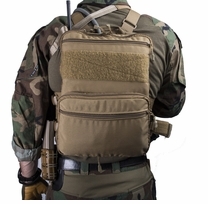 It also integrates with a D3CRX, D3CR-H, and Chest Rigs from Mayflower/Velocity Systems, replacing the X harness with the pack straps, creating a light reconnaissance, patrol rig. The Grey FlatPack comes with a comfortable spacer mesh back pad. 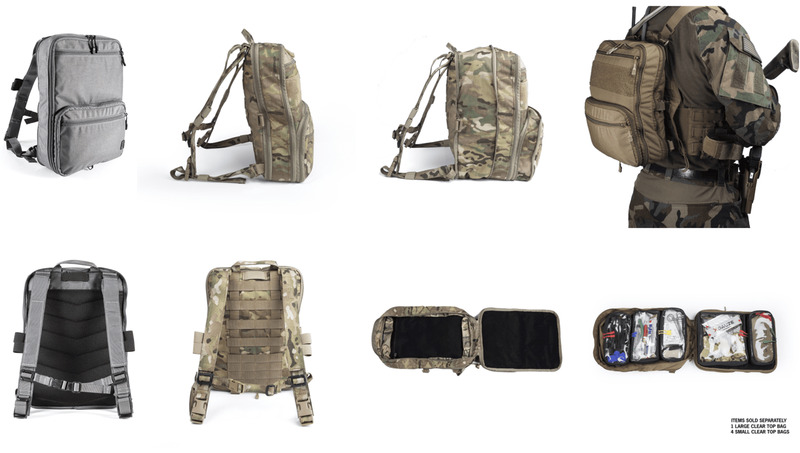 Although designed with the Special Operations end user in mind, the D3 FlatPack PLUS also makes an excellent everyday pack for civilians looking for a very compact bag that doesn't scream military. Able to safely transport electronics such as a full size laptop or tablet (15”) the padded inner chamber can also hold a number of items ranging from books and periodicals to digital cameras. • Main compartment- 14" x 10" x 3.5"
• Admin Pocket- 1" x 10.5" x 7"
• Main Compartment -14" x 10" x 6"
• Admin Pocket- 2" x 10.5" x 7"
Disruptive Grey color features 3D Mesh Padded Back (no MOLLE) and does not have velcro field on the front of the pack for a non-tactical look.